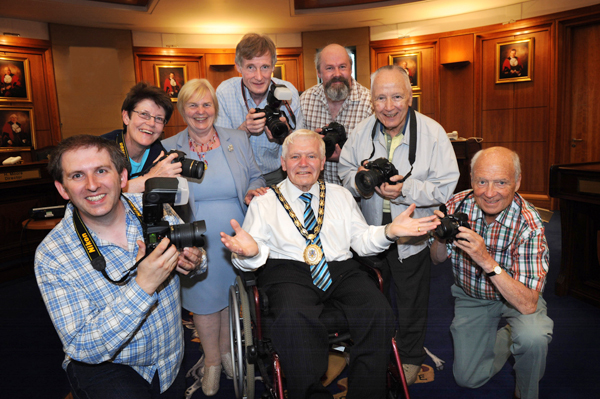 The Mayor of Castlereagh, Alderman Jack Beattie, MBE, 'turned the tables' , on members of City of Belfast Photographic Society, when they visited Castlereagh Borough Council Civic Centre. 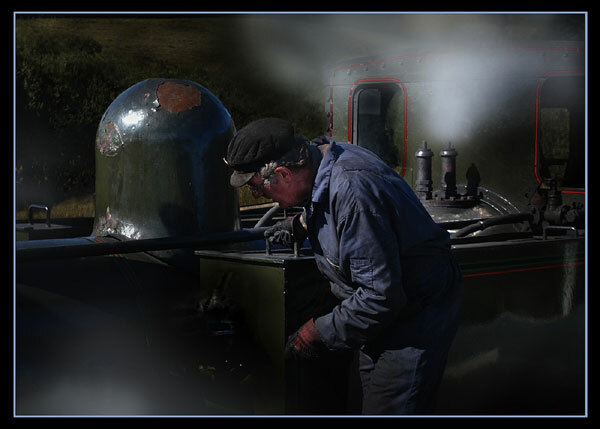 Alderman Beattie, a camera club member for many years, certainly knows his "f stops from his shutter speeds". Included are, (from left), Gary Donaldson, Honor Ross, Ann-Marie Beattie, (Lady Mayoress), Peter Knott, Edwin Doherty, Eddie Larmour, and Jim Walker. Throughout May we had the facilities of Dundonald library; both on the ‘Back Wall Gallery’ and in the ‘Multipurpose Room’ to display our Annual Exhibition. Our three judges this year were Paul Hanley LRPS, Martin Spackman ARPS and Peter Wilkin ARPS CPAGB. We had the honour of the Mayor of Castlereagh, Councillor David Drysdale to open the exhibition. Adrian 'sweeps the boards' at Exhibition! A smiling Adrian Wheeler with the winning trophies he won at the exhibition. Keep them well polished Adrian!!! 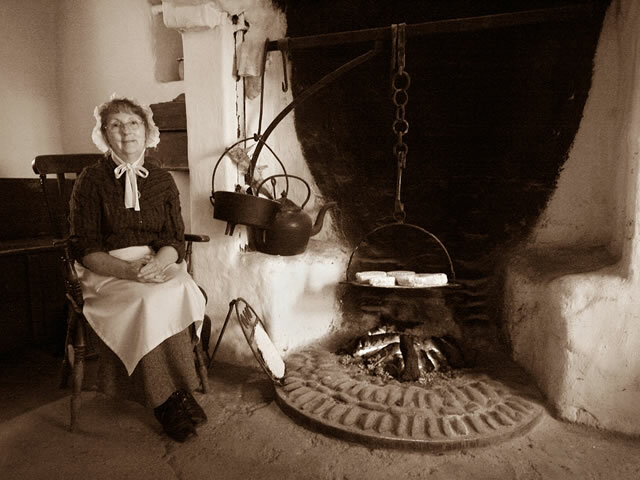 The highlight of the Photographic Season ends with our Annual Exhibition and as in previous years is held in Dundonald Library. The ‘Back Wall’ Gallery and the ‘Multipurpose’ Room of the library are both used for the display of Colour and Monochrome prints. A wide selection of subjects are on show from members ranging from beginners to advanced. See photos from the exhibition night on our Facebook page. The Exhibition will be on show throughout May during library opening hours. 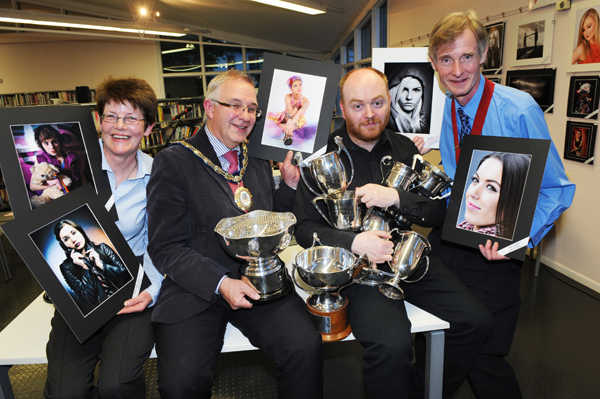 Sarah Long with some of the trophies she won at the City of Belfast Photographic Society’s Annual Exhibition. 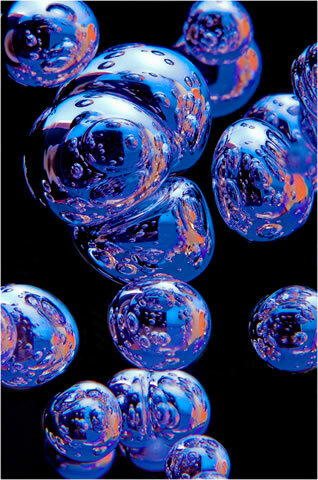 Sarah, the youngest member of the Photographic Society, won awards in monochrome prints, colour prints as well as digital projected images. 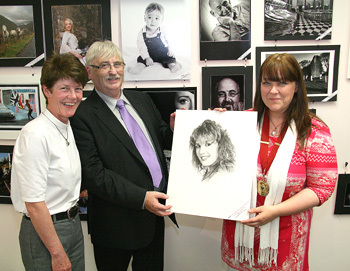 With Sarah is (L to R) Stanley Matchett MBE FRPS LBIPP Honorary Patron of the Photographic Society and her father Michael Barbour. The Exhibition of over 100 prints is currently on show in Dundonald Library throughout May (during library hours). We come to the end of another club year (2011/12) and it has been a successful season at the Photo Society with an increase in membership as well as gaining results in the NIPA interclub competitions. Winning is not everything, it’s enjoying your photography that’s more important and enjoying the Wednesday evenings at our Photo Society. We had a variety of events in our weekly programme with something for everyone from beginner to advanced. I think our members will agree it was an excellent programme and enjoyed by all. Peter Knott - 4 Colour Prints accepted, 1 of which gained a PAGB Ribbon. The final major event of the season is our Annual Exhibition which as usual will be held in Dundonald Library and will be on display throughout May. 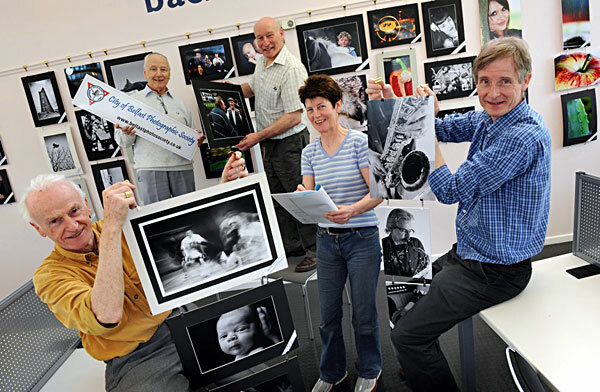 Members of the City of Belfast Photographic Society putting the final touches to their annual exhibition in Dundonald Library. The Exhibition consists of one hundred colour and monochrome images. They will be on display on the "Back Wall Gallery" and the "Multipurpose Room" of Dundonald Library during May. The "Opening Night and Presentation of Awards" evening is on 4th May at 8.00pm when the PDIs (Projected Digital Images) will also be shown. Everyone is welcome. 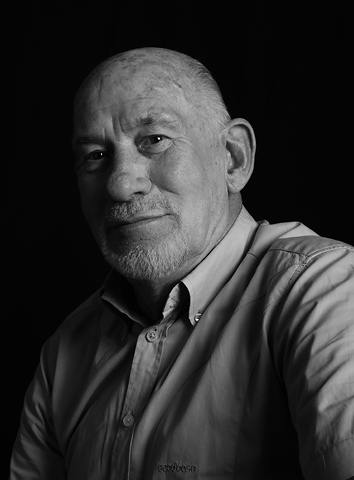 Round five, the final round of the Northern Ireland Photographic Association (NIPA) inter-club competitions, saw the Photo Society gain two ‘Starred’ Projected Digital Image (PDI) entries. These were by Lawson Piggott and Michael Barbour with titles ‘Engine Man’ and ‘Pulling the Beard’ respectively. This round had the theme ‘Environmental Portraiture’. Congratulations to both Lawson and Michael. NIPA has set the subjects for next season’s (2011/2012) inter-club competitions. Of the five rounds; three are ‘open’ and two have set themes of ‘reflections’ and ‘shadows’. NIPA Inter-club round 5 "Environmental Portraiture"
The NIPA Annual Print and PDI exhibition will be on show during March 2011 at the Belfast Waterfront Hall. This consists of a selection of 75 framed prints from the 340 prints entered. 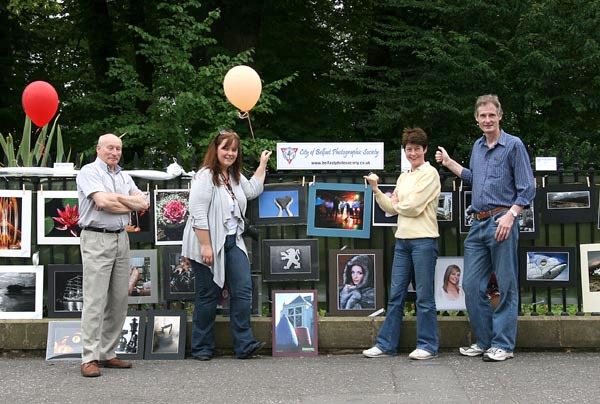 The judge was Libby Smith, MPAGB, EFIAP from the Scottish Photographic Federation. Four of the selected prints (3 colour and 1 Monochrome) were by our member, Peter Knott. 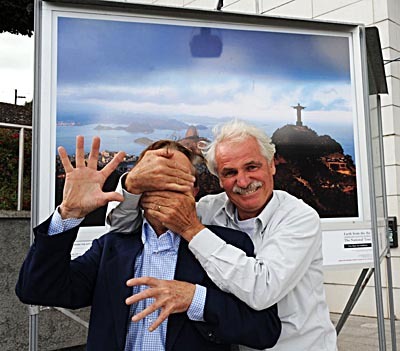 “It makes it all worthwhile when you see your work on show to the public”, said Peter. The exhibition continues until 26 March, then it will travel to other venues in Northern Ireland. Our latest member to receive a starred entry in the recent NIPA inter-club competitions was Michael Norton. Michael was awarded his certificate at round 4 of the inter-club hosted by Antrim Camera Club. 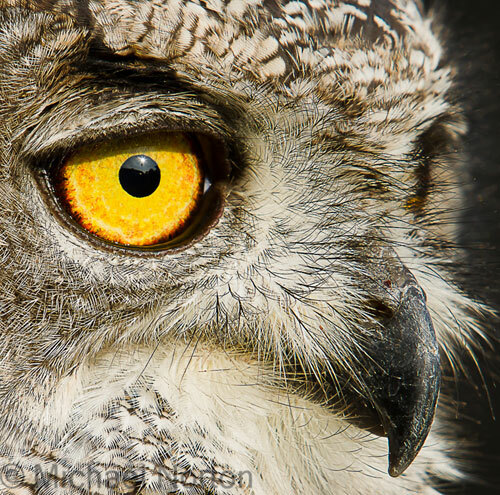 His striking colour print entitled Owl gained a joint 5th place. NIPA Inter-club round 4 "Open"
Not only was Michael successful at NIPA he also had his print exhibited on the Calumet Photographic ‘Picture of the Week’ website (for 20 October 2010). 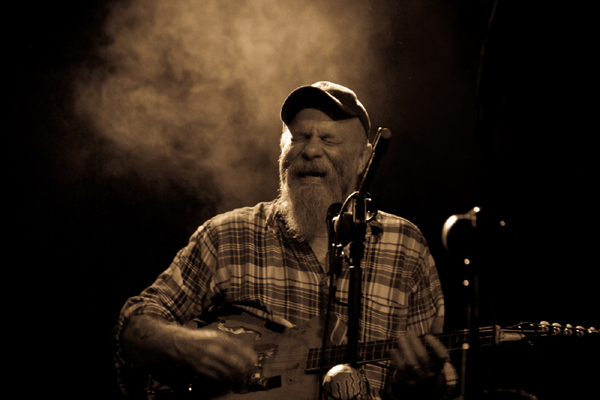 Click for website. This is a great achievement as only the top prints from top photographers are selected from the many submitted. The City of Belfast Photographic Society start the new season off with a 'Starred Entry' in the Northern Ireland Photographic Association (NIPA) Inter-club competition round 1. Congratulations go to Trish Semple with her Projected Digital Image (PDI) entitled 'Seasick Steve'. They are five rounds of inter-clubs competitions in the 2010-2011 season so fingers are crossed for success in the forthcoming rounds! NIPA Inter-club round 1 "Open"
Stan & Yann - City of Belfast Photo Society's Patron is caught out!!! 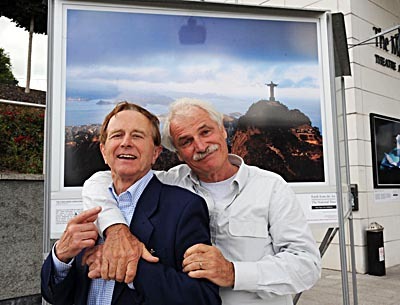 Yann Arthus-Bertrand, one of the top photographers in the world, visited his outdoor exhibition of superb images which portray the "Earth from the Air", (in Armagh City). 120 Giant floodlit pictures were certainly "the most amazing pictures you will ever see" as quoted by the Daily Mail. Pictures by Maureen Matchett. 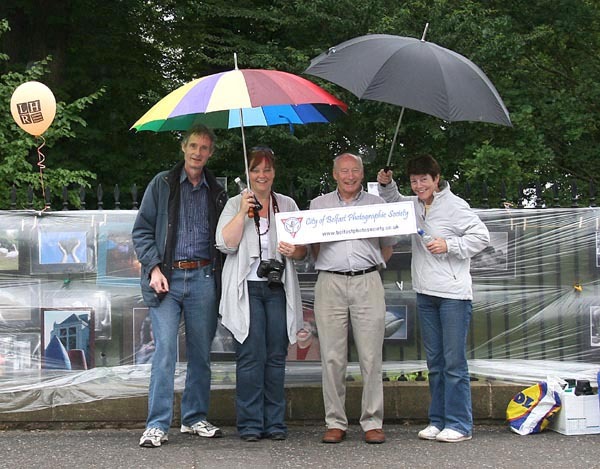 ‘Peoples Photography Exhibition 2010’ – We’ll go anywhere to show our photographs! 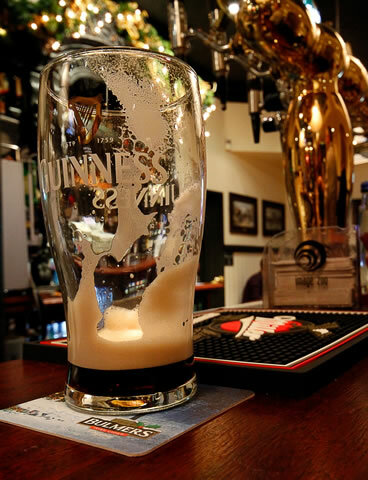 It was an early start on Saturday 28th August as we were off to Dublin for the ‘Peoples Photography Exhibition’. This popular annual event, now in its 23rd year, attracts photographers throughout Ireland so we wanted Belfast to be represented. 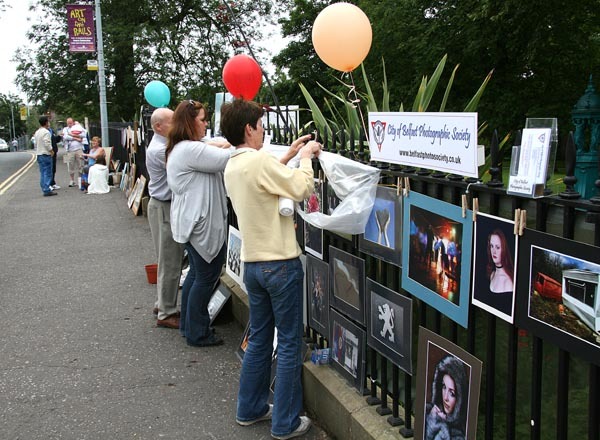 Six of our members made the journey to hang their photographs on the railings of St. Stephen's Green. Unfortunately someone, due to a last minute rush out of the house, forgot their prints, but we won’t say who she is, so your secret is safe with us Trish. The weather - that was our worry. In fact it turned out to be a great day, the sun shone most of the day with only a slight drizzle for a few minutes when we had to use our emergency plastic covering sheet. 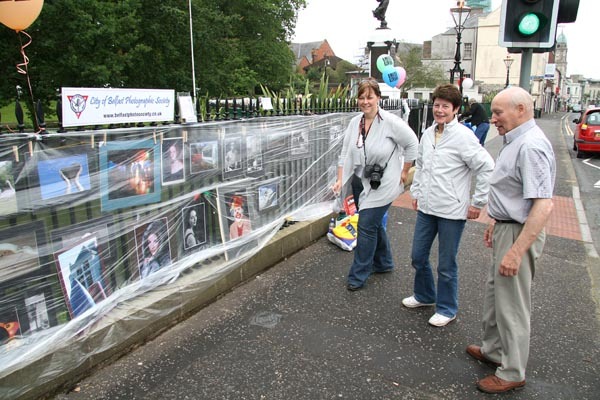 We had many people passing-by looking at our work and making enquiries especially when they saw we were from Belfast. 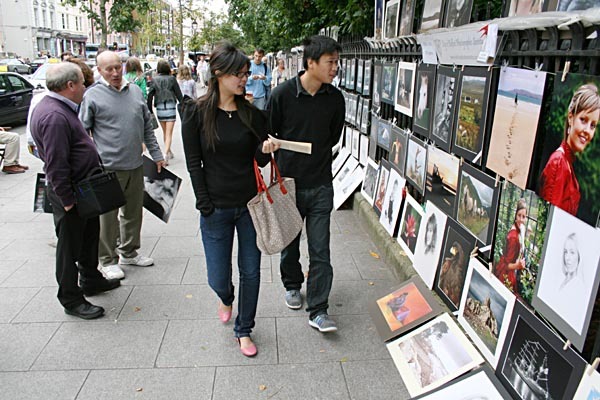 Without doubt St. Stephen's Green is an excellent venue, being at one end of the very busy Grafton Street. We took it in turns to see the work and have a chat to some of the other photographers; you always learn something new. 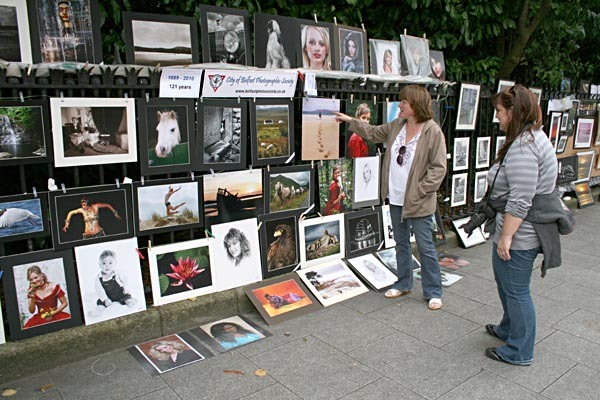 We were amazed by the sheer quantity of prints which covered the railings on two sides of St. Stephen’s Green. 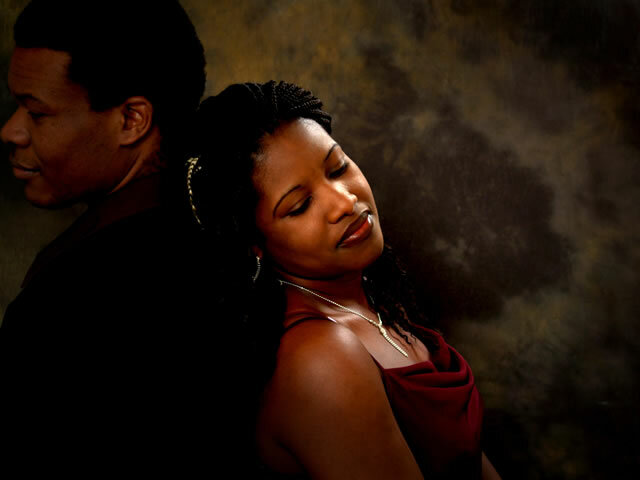 Every style of photography was on display and in every size right up to five foot wide landscapes! It was time for lunch and again we took it in turns to go for a bite to eat and a walk through Grafton Street with cameras at the ready for any photo opportunities. Dublin certainly is a very busy city. 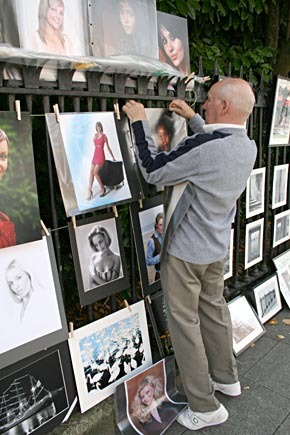 The ‘Peoples Photography Exhibition’ is well recommended to see for anyone interested in photography even if you don’t wish to exhibit, and with the special offer train tickets, you can be in Dublin in two hours with plenty of time to spend on an enjoyable day. We certainly had a wonderful time! 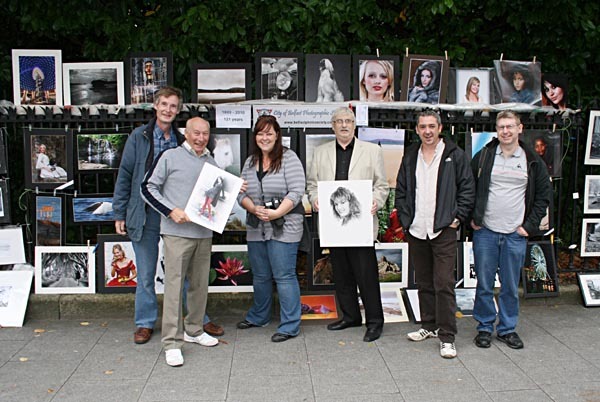 ‘Art on the Rails’ - Our adventures in Lisburn! ”Should we go or should we not go”? That was the question being posed for the forthcoming ‘Art on the Rails’ Exhibition on Saturday 24 July 2010 at Castle Grounds in Lisburn. The weather was the deciding factor with the forecast indicating unsettled weather with likelihood of rain. But being the City of Belfast Photographic Society we went anyway! This was our first venture at displaying our work outside to the public. Within a short time and with the aid of a clothes line, clothes pegs and ‘Blu Tack’ we had our display up on the rails and very pleased we were. “But what about the rain”? Well we thought about that and fitted plastic sheets to fold down over the prints in case of an emergency! Time for coffee and biscuits and have a look around at the other exhibitor’s art work on display. All were paintings, no photography, but it’s nice to chat and compare their art form with ours. Just as we thought everything was going fine, the rain came on! So it was all hands to drop the plastic sheet and all was well. A few drops of rain can be the death to award winning ink jet masterpiece! Twice during the afternoon we had to bring the emergency plastic sheet into action. Although it was a dull day, some passers-by did stop and look at the prints, a few even made enquiries. It was approaching 3.00pm and we decided we would pack up for the day and it’s as well we did. Yes, you guessed it, the rain came on again! It would be well worth going back again, but this time on a sunny day with more people around. Overall we enjoyed the day and the experience. 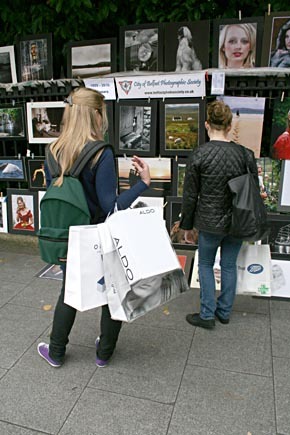 We are planning to exhibit at the ‘Peoples Photography Exhibition’ at St. Stephen’s Green in Dublin. 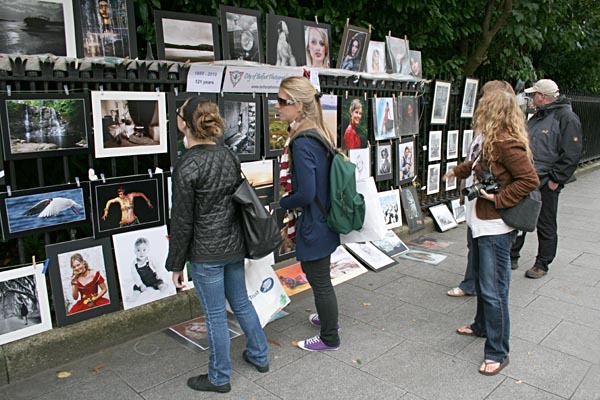 This is an annual event held at the end of August with the railings covered with thousands of photographs by photographers from all over Ireland and beyond. One item we will definitely bring with us is our emergency plastic sheet! Even when it rained the Team kept smiling! 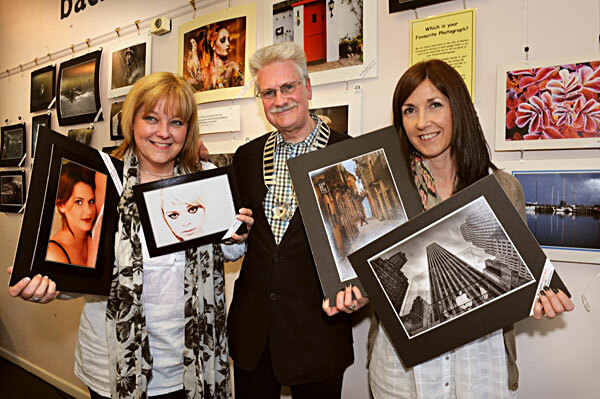 Wednesday 5th May was the opening of our Annual Exhibition at Dundonald Library. A capacity audience saw over 135 prints both monochrome and colour and 36 projected digital images. The 'Back Wall Gallery' as well as the 'Multi-purpose Room' were use to accommodate the large number of exhibition prints. The judges this year were Danny McCaughan (President of NIPA) and Ray Magill (Vice President of NIPA). Both judges selected some of the prints and made encouraging remarks; they also complimented the society on the high standard of work. 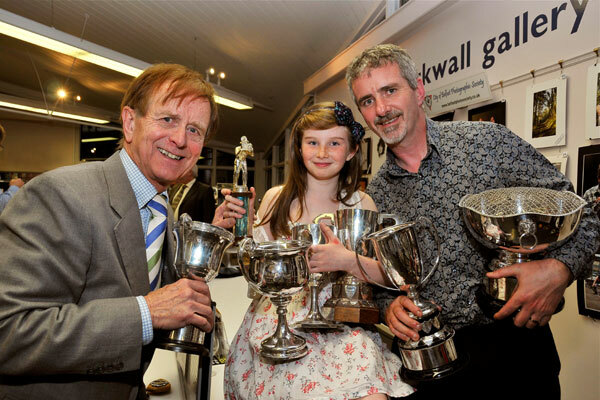 After Danny declared the exhibition open, the awards were presented for the various categories. A break for refreshments and a chat with old and new friends was next on the agenda while the computer equipment was set up for projecting the ‘Projected Digital Images’ (PDIs). 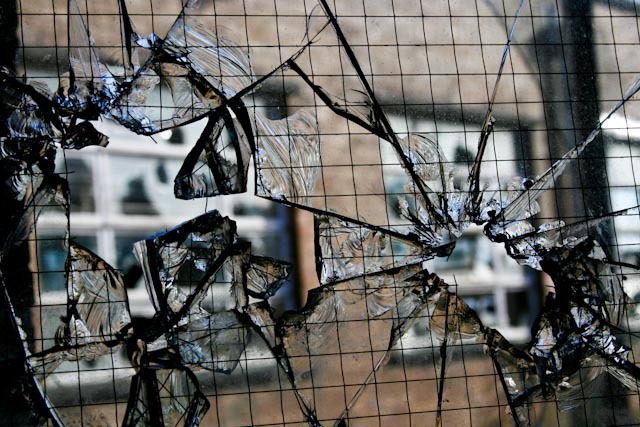 This is the first year the society has changed over to PDIs from transparencies. More food was consumed and chat continued after the PDIs until it was time to go home, another Exhibition Night finally over. Also on show in the display cabinet as you go into the library is a selection of vintage cameras. This will bring back memories to those who remember the good old film days before digital. Everybody seemed to enjoy themselves, with old friends who return each year and friends here for their first time. A lot of organising and hard work goes into setting up an exhibition so to see a packed Dundonald Library makes it for us all worth while. The exhibition continues until 29th May during library opening hours. 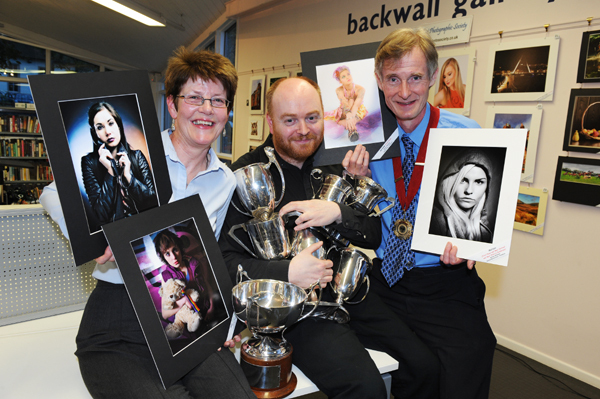 City of Belfast Photographic Society Success in the NIPA inter-club competitions. 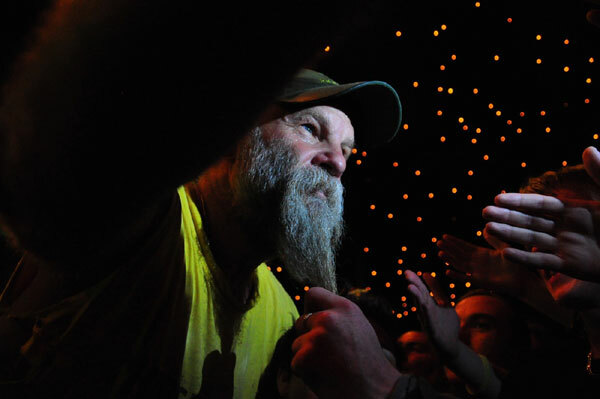 The City of Belfast Photographic Society had one of its most successful seasons in recent years by achieving a number of "Starred" entries in the Northern Ireland Photographic Association (NIPA) Inter-club competitions. At present there are twenty two clubs from all over Northern Ireland in NIPA. There are five inter-club rounds and the society was successful in obtaining "Starred" entries in four of the five rounds. It was interesting to see most of the winning entries were from some of the newer members of the society. The society finished overall in seventh place out of twenty two clubs. Trish Semple, President of the Photo Society said, "I am over the moon our club is doing well, we may not be the biggest club in NIPA but we are enthusiastic and the members can be justly proud of our success". 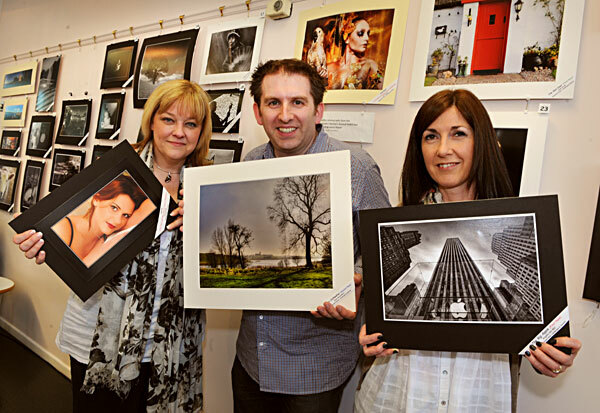 The Society also had success in the NIPA Annual Print Exhibition held in the Waterfront Hall, Belfast during March. One of the Monochrome images gained a PAGB Ribbon. 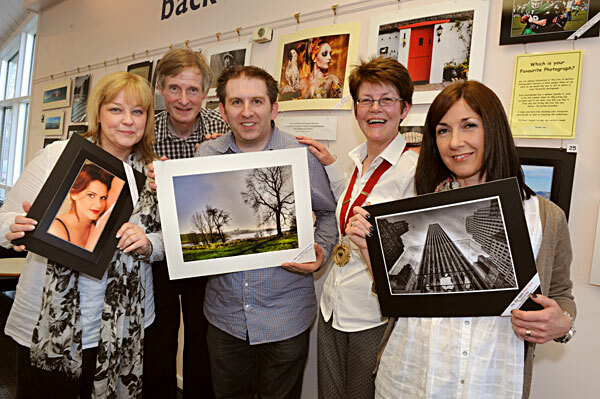 Also in March the society had its "Annual Print Battles" with the CPA and Ards Camera Club. These are friendly competitions between the clubs with each club selecting their Black & White and Colour prints and an independent judge asked to comment and score points for the prints. This year the society won both Print Battles! Trish went on to say, "What an excellent way to finish the season!" The next big event for the society is the Annual Exhibition which is held in Dundonald Library during the month of May. The opening night and presentation of awards will be on Wednesday 5th May. So if you are near Dundonald Library during May why not drop in and see some of our members' work. NIPA Inter-club round 5 ''Open"
A delighted William Currie proudly holding his print ‘Louise’ which received ‘Best Print in Exhibition’ at the City of Belfast Photographic Society’s Annual Exhibition. Also in the picture (L to R) is Honor Ross (Hon Secretary) and Trish Semple (President). The exhibition is currently on show at Dundonald Library until 29 May. NIPA Inter-club round 2 "Open"
NIPA Inter-club round 4 ''Macro"
NIPA Inter-club round 5 "Open"